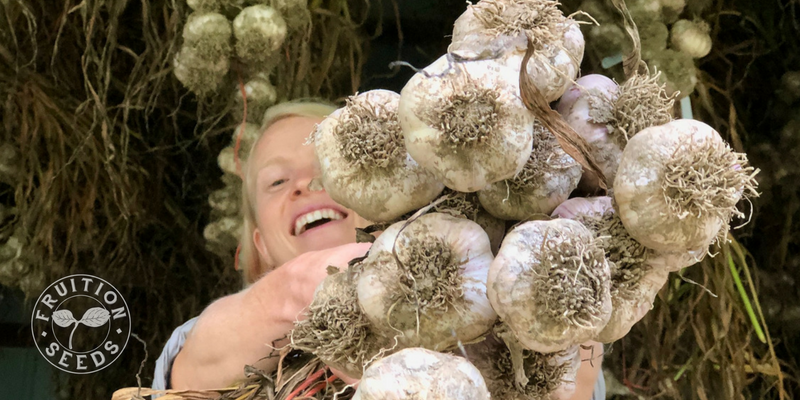 Sneak Peek: New Varieties for 2019! Each year we trial new varieties and develop new ones, harvesting their seeds and tucking in packets to share with you! 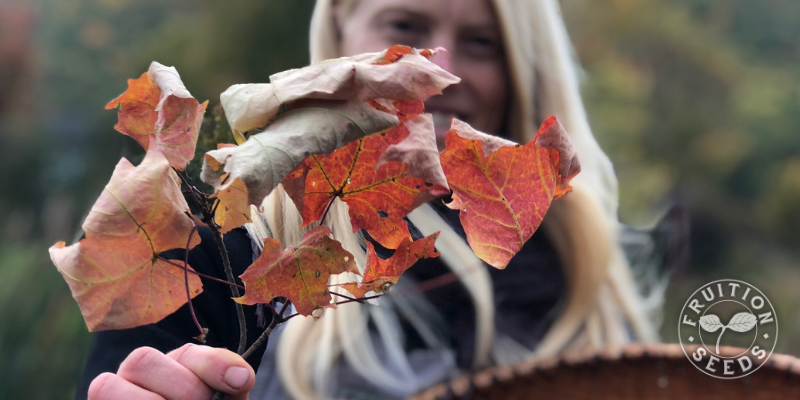 With each season we learn more about our seeds, ourselves, our soil, our community and our climate. Most seed companies are simply repackaging seed they've bought wholesale on the commodity market, which doesn't eliminate all the variables by any means, but it does greatly reduce their risk of not having seed in their packets. The seeds in our packets is largely harvested on one of Fruition's four farms; we also collaborate with over a dozen talented organic seed growers to bring you the highest quality seed we can source. People ask me all winter long if they can save the seeds they scoop out of winter squash to sow next season. First, the fact that people ask me this gives me such hope for the world! Humbling yet true: I am gently discouraging you from saving your squash seeds to plant next season. 1. Toast and eat them, see our recipe below! 2. Make squash seed roofs on gingerbread houses. 3. Stick them on peanut-buttered pinecones for the birds. Ironically, I really don't recommend saving your squash seeds to sow next season, unless you know a great deal about its life story. 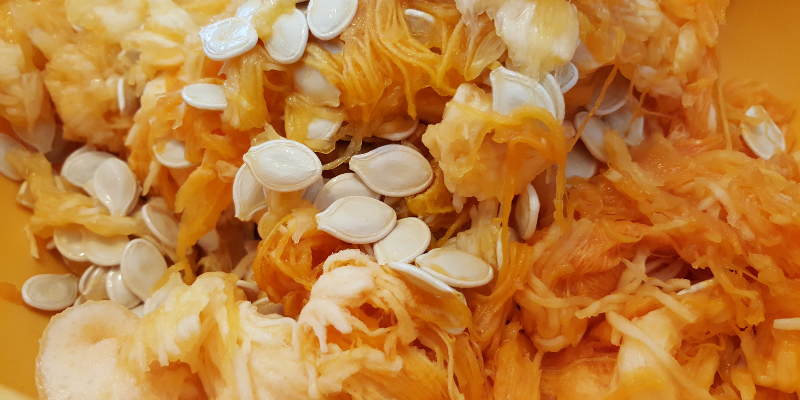 Squash seeds are one of our favorite snacks. Check out our recipe inspirations below! Some years, like this year, I’ve already been skiing for a week, HOORAY! Other years, Thanksgiving arrives and leaves are bright though fading, snow yet to accumulate. Either way, there are two things to know about how I eat kale. First: I eat kale twelve months of the year. I eat 98% of that kale between November and March. 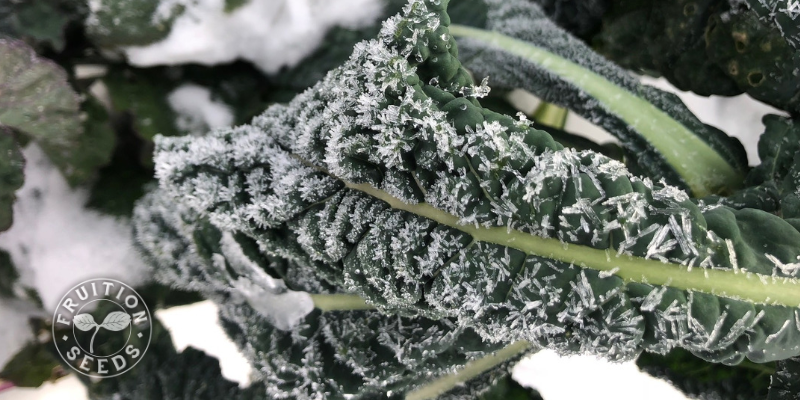 This means, among other things, kale leaves are most sweet and tender in the coldest seasons. Which is SO good to know! And the reasons why are equally fascinating. Who loves to dig them? And I agree, it's not as glamorous as harvesting lush blooms as the August dew rises. 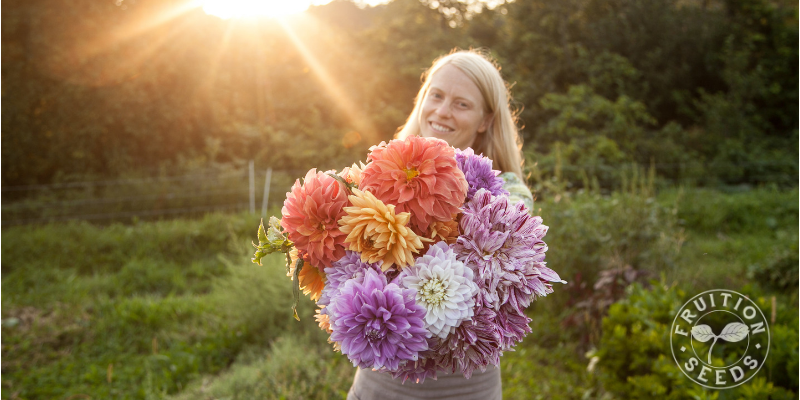 Storing your own dahlia tubers is a labor of love but so, so worth it and not too challenging, with the right tips and tools. There are many reasons and this is my favorite: You'll have so many more dahlias for next season (not totally but essentially) for free. My childhood experience of growing peanuts once --- and harvesting seven peanuts --- convinced me for two decades that growing peanuts in short seasons was extravagantly futile. Yet seeds, again and again, show me that our imagination is the limit, that regional adaptation is the language of resilience, that we can grow so much more than we think possible. When we started Fruition Seeds, Matthew and I were gifted a small bag of 'Northern Hardy Valencia' peanuts from a family on the Upper Peninsula of Michigan who had selected them for over two decades. Skeptical as I was, they thrived against many odds, including cold, close spacing and a family of groundhogs. If you garden in short seasons, as we do, regional adaptation makes a difference with any seed. This is especially true crops that need more heat, like watermelon, peppers, peanuts. 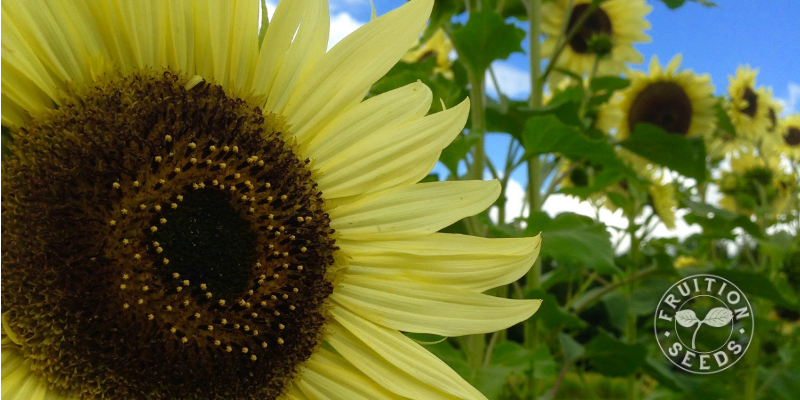 We are delighted to share such seeds, and such joy, with you. Our Favorite Desiccant Packets for You! Last week, sharing Fruition's Secrets to Storing Seeds, I mentioned the desiccant packets we love. Lots of people asked where to find them, so we were inspired to share them with you! You'll now find desiccant packets on our website. If you're hardy, you can still sow your spinach this season! You likely won't harvest it til spring, but it will overwinter without flinching and grow the sweetest, most tender leaves with the snowmelt. 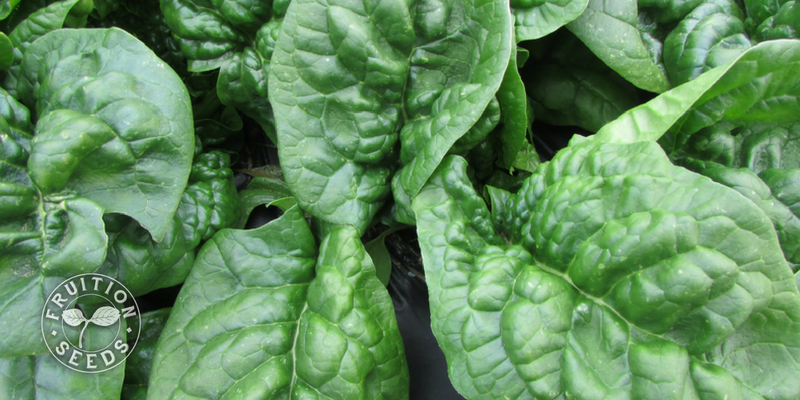 We sow spinach in early September to harvest in fall, winter and spring. Spinach can also be sown later, before the soil freezes, for spring harvest. Whether you have a handful of your family's heirloom beans or you simply wish to keep your germination rates high for next season, storing your seeds well puts your mind at ease and will surround you with abundance for years to come. Below, we'll get into the nitty-gritty details. How Long Will Seeds Last? Many seeds will maintain great germination for three years even in your kitchen cupboard, though there are exceptions. Stored well, some seeds can last centuries. 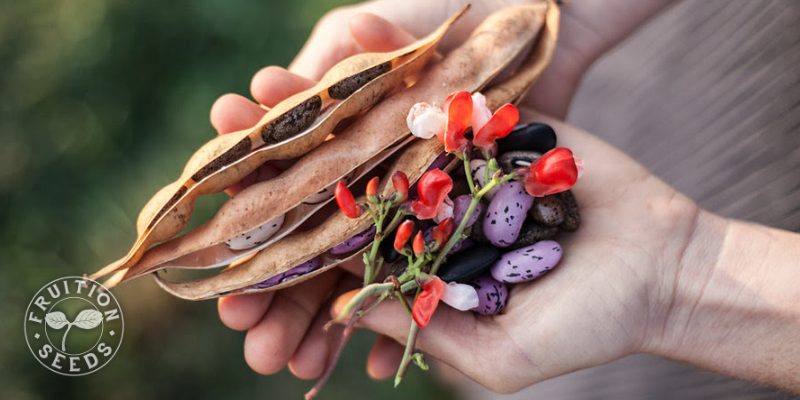 Beans, like the Chocolate Runners, are among the longest storing seeds, often sprouting after a century in ideal storage conditions.